This sounds great! I will have to check if my Whole Foods has this. Thank you! Have to agree with Alexa! LOL Great tip. Will have to look for this. This dry air is wreaking havoc on my skin. I have a quick question about this mask -- you've recommended that this mask be rinsed but would it be OK to use a charcoal soap after the rinse? I tend to do masks before I shower (and I know this is borderline insane) but I don't feel clean without soap. Instead of using water in face masks, I usually use rose water. Rose water is very soothing for the skin! My skin is definitely feeling tired and dull this winter, so I think I need to give this mask a try! I have become so much cultured in the health food stores thanks to you! I love how you introduce us to different things. i love green tea in two forms as the actual tea and then i am obsessed with green tea ice cream not the mochi kind but straight up green tea ice cream it is amazing. 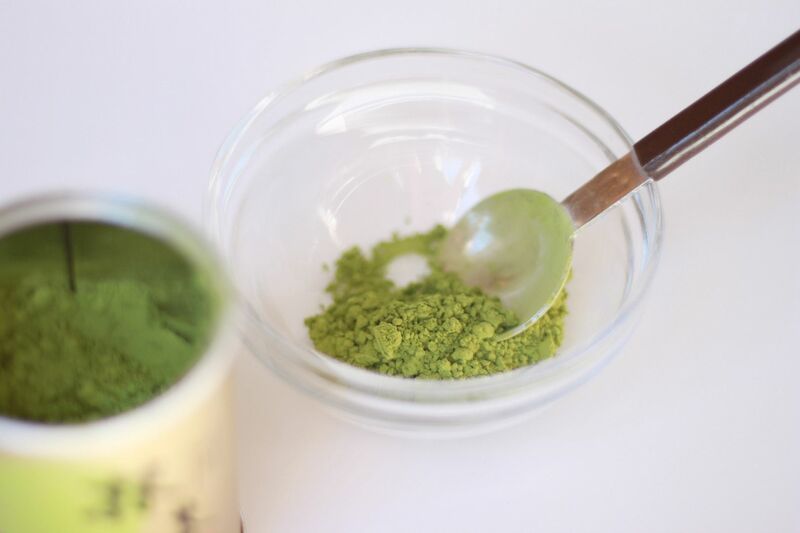 maybe i need to like green tea in a third form in the facial mask version! Oooh! I want skin made of silk! Thanks for the tip. I know I've told you before, but I just adore your blog. I jump for joy with every new post! Lindsay! I love your ideas and your blog and that little boy of yours is too cute for words! Thanks so much for this post. I had green tea powder lying around, so I tried it out last night (http://www.pinkstripeysocks.com/2013/01/homemade-green-tea-matcha-mask.html) It smelled really yummy... but I'm not sure if I could tell a difference after just one try.... so I look forward to trying it again later on. I recently found your blog and I LOVE it! The homemade masks are my favorite. My question though, is that you normally recommend doing each mask 2-3 times per week for the best results. But you have so many mask recipes. Which ones do you do on a regular basis? Is it better to rotate them out (clay mask, green tea mask, etc) each week or to stick consistently to one for a while? I just clicked on your blog after reviewing a comment you left on mine over a year ago! Seriously... am I slow or what!? But I am excited to try out this mask... sounds like a very relaxing evening for this mama of 2 under 2! Loving the vitamin c serum! I have a few questions however. 1. Should this serum avoid the entire eye area? 2. If so, any recommendations for eye cream homemade or otherwise? and 3. what is an appropriate age to begin using this serum, I ask because I have a 13 year old daughter and am wondering if and when she should be starting a skin regimen? Thanks for the serum recipe!! wow...it's so natural..i will definitely try this!! 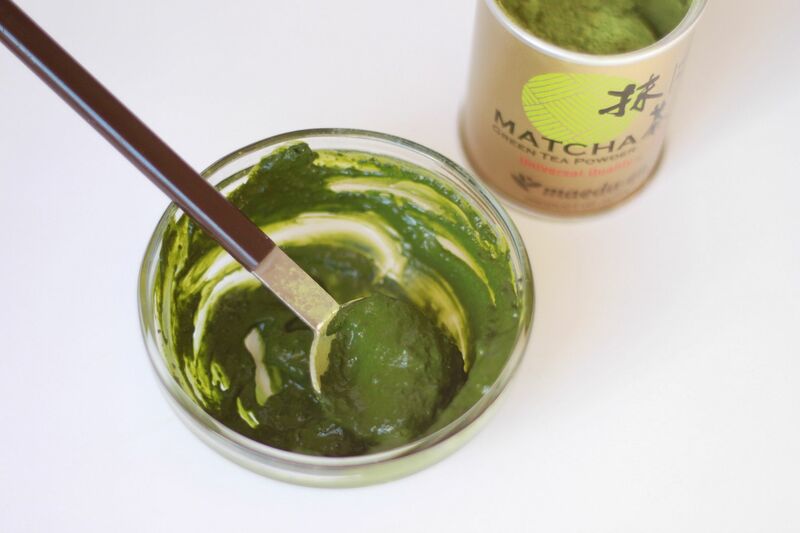 hi :) I created a new mask mixing two of yours, a Matcha/honey mask...i am now trying it on myself, do you think there's some downside? i wanna purchase this. but, where whole foods giant eagle? 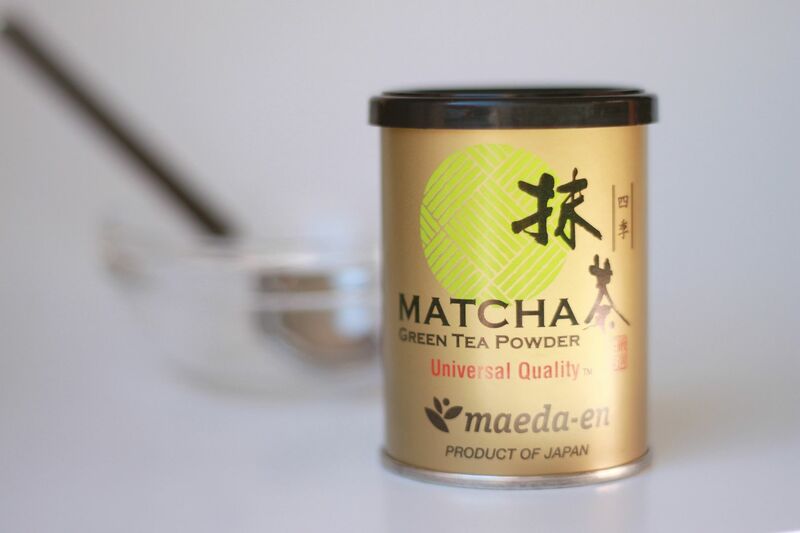 Bt can we use crushed green tea leaves? 1 teaspoon is too much to use for one mask. Reduce the measurements to 1/4 teaspoon. Add an equal amount of heavy cream and honey, 1/4 teaspoon each. This well blended and smooth on to face. If you gently rub it off you can feel the moisturizing oils on your skin and this also acts as an exfoliation as well. Gently rinse face in tepid water and apply light mousturizer. Coconut & Macadamia nut oil combo is light and the skin drinks it in. I am a Japanese natural skin care consultant. Loved this! I applied a natural serum that contains rosehip seed oil, then applied the mask on top of that. My skin glowed afterwards! Thanks for the great post. 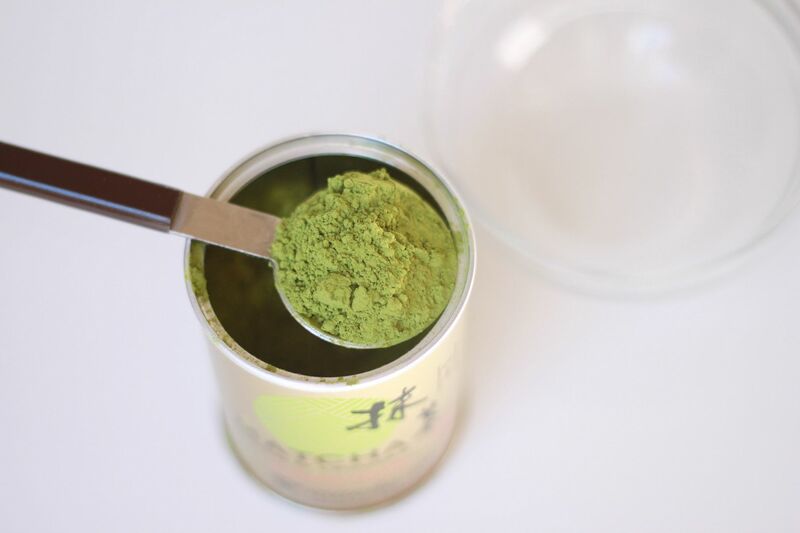 I mix green tea powder with spirulina and the color is quite amazing....scared my dog though, lol!